With a clear increase in the popularity of social media sites, it's quite common to see people try different ways to share their posts, photos and other stuff. 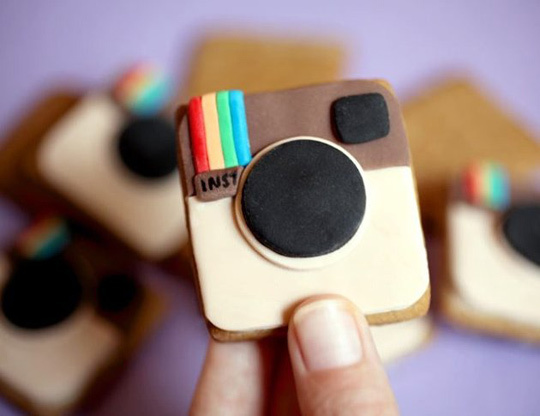 One of the most popular ways to engage in social networking is Instagram. It makes sharing photos with friends a breeze. Not only will it help you to upload your photos quickly, it will also give you the chance to use certain digital filters to make these photos look distinctive and impressive. While other social media sites do come with a photo function, they usually rely heavily on other types of posts. That's usually not the case with Instagram, which is completely dedicated to images – you'd love to use this service if you don't like to read or write on social networks. To make it easier for you to upload your photos, you get to use a number of impressive features – you can use some of these features to instantly upload your photos and set them in square frames like the good old-fashioned Polaroid or Kodak pictures. Another impressive thing is that Instagram is now also available for cell phone users in the form of an app. It means you can take photos on your phone and then use this app to upload their photos to the website in a few seconds. Considering the features of Instagram, it's easy to see why it's one of the most popular ways of sharing photos with friends and friends of friends. But it is definitely not the only option available to people interested in making others say a few words in appreciation for their expertly taken pictures. Here are some alternatives for you to consider. This is a good alternative to Instagram and allows you to take your photos and upload them with ease. By paying a visit to the website, you will get to know that most of the photos out there are inspiration, funny, or pretty. It also allows you to use a cell phone app that gives you the chance to take photos on your digital device and upload it quickly – the app also allows you to use different filters to make your photos interesting. A testament to the popularity of this site is that many people use their Flickr account to save photos that they take on their cell phones – they don't save photos on their phone memory and send them directly to Flickr. Using Flickr this way is a perfect example of using cloud computing that involves storing your content online instead of keeping it on a hard drive. You can definitely use this website if you're not interested in Instagram for any reason at all. Of course, it's not that sophisticated, and some people even think it requires a bit of tweaking, but it still stands as a good alternative to Instagram. You will develop a liking for this website if you like to use different filters and add effects to your photos. Their photo editing tools are powerful enough to make your images look different, and probably better; in fact, you may end up getting 2 million variations of your photos by mixing these filters and tools differently. There is a consistent increase in the fan following of this particular social media site, which means you're sure to get a good number of people checking your images. This particular website is definitely giving its best shot to compete with popular photo-sharing sites like Instagram. With the availability of so many filters and the help of webmaster, it's not far behind from other popular sites. It makes it easy for you to edit and upload your photos quickly. Not only can you change your images using filters and tools, you can also add captions to make them look more of a photo postcard. Due to the availability of the caption function, you will have a better chance of making your content go viral. Once ready, you can share your images along with the captions on popular social media websites. For those who are not into using Instagram but still want to share their photos with their friends and family may give 'Flock' a try. As implied by the name, this social media site is a perfect place to combine all your photos in one big album. What makes it interesting is the fact that you can set up different albums, each meant for a different family member or friend. Even though it's offers a powerful way of sharing your images, it's not tedious at all – the uploading process is simply and quick, and you can have everything done without having to fiddle around much.